Earlier this month, we spent three great days during VeeamON 2018 that made me feel inspired, energized and motivated. I had productive conversations with customers, partners and analysts and I’m looking forward to innovating together. Throughout our history, Veeam has grown from being THE solution for the modern highly-virtualized data center to the #1 Data Protection for Multi-Cloud Enterprise. Data represents today what oil represented for the industrial revolution and it’s growing at a faster rate than even before, becoming indispensable for our digital lives. Consequently, the solutions to keep data available need an upgrade. At VeeamON, I was on the stage and I was delighted to talk about our new vision and messaging of being the most trusted provider of Intelligent Data Management solutions to meet the expectations of a world that demands the Hyper-Availability of data. Backup: Back up all workloads and ensure they are always recoverable in the event of outages, attack, loss, or theft. Aggregation: Ensure protection and Availability of data across multi-cloud environments to drive digital services and ensure the aggregated view of service level compliance. Visibility: Improve management of data across multi-cloud environments with clear, unified visibility and control into usage, performance issues and operations. Orchestration: Seamlessly move data to the best location across multi-cloud environments to ensure business continuity, compliance, security and optimal use of resources for business operations. Automation: Data becomes self-managing by learning to back itself up, migrate to ideal locations based on business needs, secure itself during anomalous activity and recover instantaneously. Veeam’s vision for Intelligent Data Management is based on a flexible set of integrated, plug-and-play solutions. 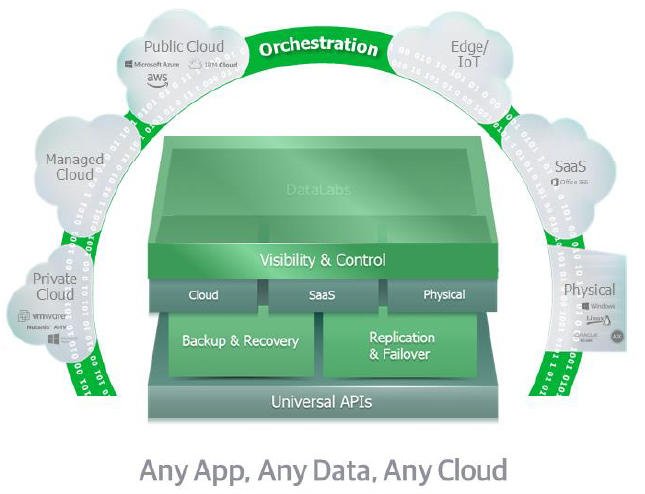 Veeam Hyper-Availability Platform is the most complete solution to help customers on the journey to Intelligent Data Management in a Hyper-Available Enterprise. The platform provides the integration, visibility, orchestration, intelligence and automation to evolve data management from policy-based to behavior-based and from manual management to intelligent automation. This enables the provisioning and management of the massive, constant flows of data running across highly distributed, multi-cloud infrastructures to be securely automated, self-learning and optimally orchestrated. Enterprises that run on Veeam Hyper-Availability Platform respond faster to any business need, gain multifold improvements in efficiencies and have far greater agility to deliver new digital services and experiences that improve how people live and work. The present day could be the best time to be alive. Technology, powered by data, has changed for good our lifestyles and the way we do business. Veeam is here to protect that data! Cloud Data Management Just Got a WHOLE Lot Easier! Does California’s own GDPR create more problems than it answers?